White tux clad staff wait for people to arrive to luxury wedding at the Dallas Arboretum. 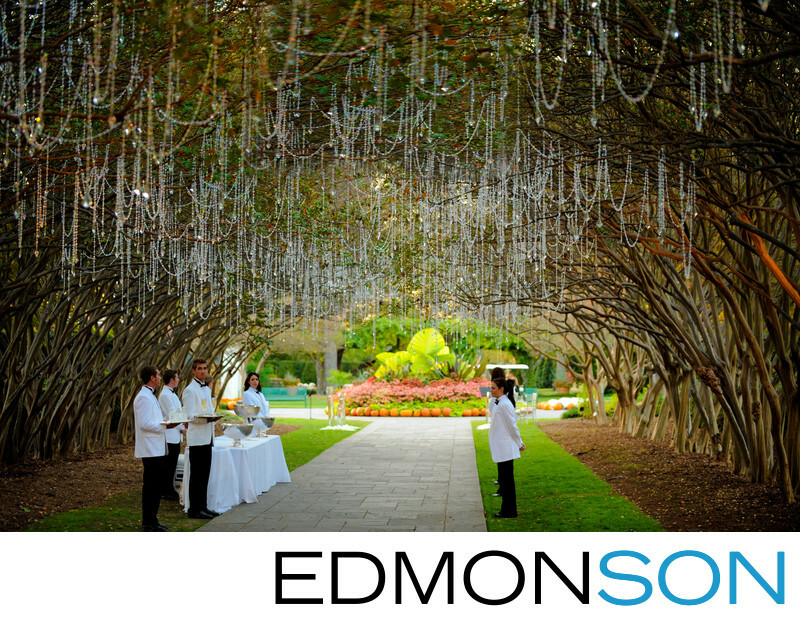 The famous Crepe Myrtle Alley is covered in crystals to delight the guests. Wedding coordination provided by Mary-Frances Hurt of DFW Events. Set design by Nelson Robinson of Stageworks in Ft. Worth. Location: Dallas Arboretum and Botanical Garden. 1/160; f/2.8; ISO 1600; 70.0 mm.